This is a test post to test tags. I&apos;ve added the "Test" to this post. This thread is where I will update all new progress on newLISP on Rockets 2.0. When I started to write Rockets, I had a crazy dream. Then the dream came true, and I didn&apos;t know what to do. 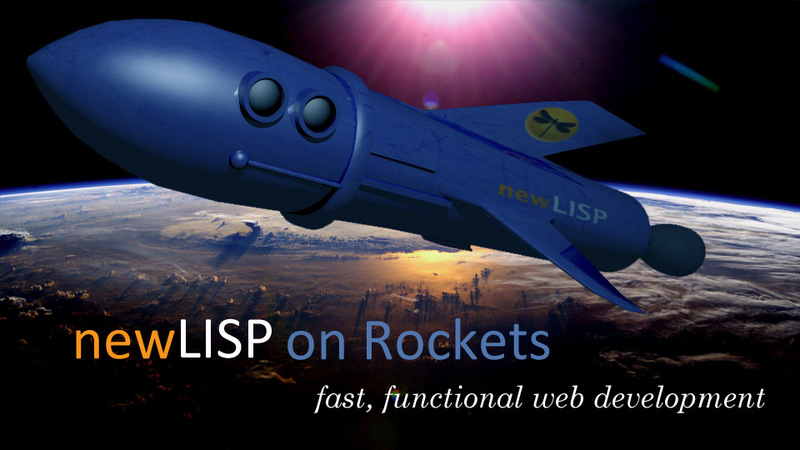 The dream of newLISP on Rockets was to produce something unique and interesting, and share it with the world. I wanted to show that you could make a lightweight web framework that could make functional and fast websites with a minimal amount of code. And I wanted to do it with LISP, because I had fallen in love with that language. I had some experience making websites with the Dragonfly framework, including my own personal site. That framework wasn&apos;t being updated any more, though, as the author had moved on to other things. So using Dragonfly as a starting point, I wrote my own framework. It was an intellectual exercise for me, and when it was finished I didn&apos;t have much else I wanted to do with it. It was out in the world, and other people could use it for free and add to it or extend it as they wished. Since then, I got a new job where I used Rockets to launch one major internal tool, and prototype others. But the company I worked for was all-in on Python, and so I was strongly encouraged to learn and use that language. There&apos;s nothing wrong with Python-- it&apos;s a clean and flexible all-purpose language with strong library support and a large community. There is a lot of comfort and safety in Python. In that time, I&apos;ve read essay after essay from people who once used LISP to do amazing things and who have all moved on. Paul Graham, after failing to convert the world to his own new Lisp dialect, launched the successful Y Combinator startup incubator. Andy Gavin, who by his own admission was a "diehard LISP advocate" for twenty years, coded Crash Bandicoot and four Jak & Daxter games in his own Game Oriented Object LISP language. Now he codes in Ruby and says that "Libraries and implementation matter a lot. Momentum too." And the author of the Dragonfly framework, after bemoaning that not enough people picked up his object-oriented framework for newLISP, left the language entirely. And here I was, coding in Python at work and thinking of LISP fondly, like one does of a first love. The years went by and memories got hazier. Was I just going to be the next person in a long line of coders who abandoned LISP? Surely all these smart people had a point. Why go it alone with LISP when you can use something popular like Python and enjoy tons of libraries and support? Why struggle with something that&apos;s so different and unpopular and a bit weird? But then again, why did all these smart people spend so many years (and even decades) doing exactly that? In my spare time, I am a science fiction author. I have a new book coming out next year and I needed a website to help market it. I thought about setting up a site on Squarespace (yes, I listen to a lot of podcasts!) It&apos;s fast and easy, you can customize it to look like you want and... it would be just like all the other author book websites that nobody reads. I wanted something very different and unique. Something nobody else would have. And then I thought about Rockets. Now, I had already partially converted my personal site from Dragonfly to Rockets, but this was just using the new headers and login system, and doing some find-replace on a few functions (you can read about how to do that here: http://newlisponrockets.com/rockets-item.lsp?p=85). Much of the site was a bunch of custom code that just worked for my personal site, and wasn&apos;t the same as the site you get from the newLISP on Rockets GitHub repository. So Rockets did some things and my personal blog did some other things, but neither of them did what I wanted from a new website to promote my book. And my personal website was looking a bit old-fashioned anyway, and it was running on an ancient t1.micro instance on AWS that was expensive and barely supported and needed to be moved over to a new instance years ago. That&apos;s when it hit me. I needed a new version of Rockets. One where I could recreate my personal blog and also have a marketing site for my new book, using the same framework. With a simple Apache configuration, Rockets already supports multiple sites-- I have several different sites running on that one AWS instance (see here for how that works: http://newlisponrockets.com/rockets-item.lsp?p=99). But I want a single codebase that can make different-looking sites depending on what you want. newLISP on Rockets has a few advantages other than uniqueness. It is fast--wickedly fast. And it&apos;s simple-- the whole design principle was to make the simplest possible framework for making dynamic websites. What it&apos;s missing are features. I had thought that other people would take the basic Rockets framework and add their own features, but I think a lot more people would rather have a simple website with all the basic features ready to go. To get there will take some time and effort on my part. But I have a good motivation to do so-- my own new website-- and I&apos;m writing out a plan for me to get there. I&apos;m going to make a new thread to report on the work being done. At the end, I hope to launch Rockets 2.0-- a basic but full-featured blog, ready to go, out of the box, batteries included. I&apos;m excited about the journey! It&apos;s been a while since I&apos;ve updated this site, but it&apos;s not because I haven&apos;t been working on Rockets! In fact, I&apos;ve been using and improving it at my job, and I&apos;m doing work for not only the 1.0 release but some design work for what I want to see in Rockets 2.0! And that&apos;s it! It takes care of all the fiddly bits (downloading newlisp, downloading Rockets, getting Bootstrap and the libraries and images, fixing the crypto library, setting permissions, etc) and leaves you with a fully-working Rockets system. The little cartoon rocket was cute, but I think it&apos;s time for a more exciting image for the front page. I modeled and rendered the rocket image in Blender and made the textures in Photoshop. 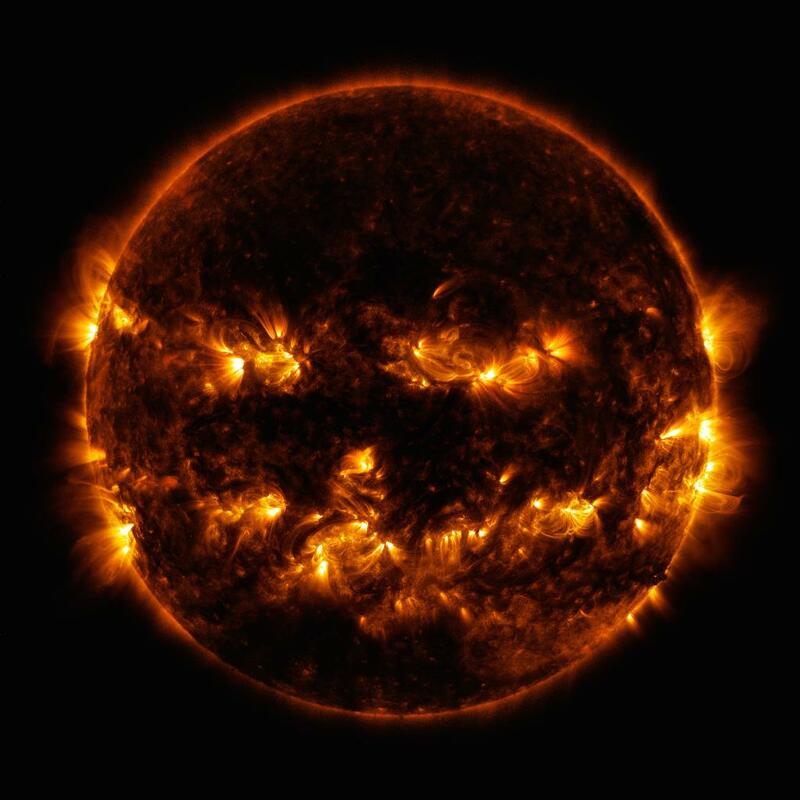 The background is a photo from NASA. I&apos;ve been setting up a lot of new sites lately using newLISP on Rockets. Here&apos;s the process for making a brand new site from scratch. This assumes you&apos;ve already got Linux and Apache installed on the server. This is easy to do with Ubuntu Server-- just select "LAMP" at install time. All these instructions are for Ubuntu but they should work on other Debian-based Linuxes. Your web directory should be in /var/www. NOTE: This is the 32-bit version of newLISP. If you want the 64-bit version, you will need to compile it yourself, or get one of the unsupported 64-bit Debian installers (do a Google search for the most recent version). Also, the version numbers may change in the future-- go to the Downloads page at newlisp.org to get the current version. NOTE: Again, this step is only if you are creating multiple sites on your Ubuntu server. If you have just one site, you can skip this step. sudo cp -R * ..
6. Fix the crypto library! Unfortunately, the library libcrypto.so is always changing version numbers, and newLISP often doesn&apos;t know where to find it. So you have to find it yourself. You should get something back like "./lib/i386-linux-gnu/libcrypto.so.1.0.0"
Page down a couple of times to get to the long list of places to find the library, and add "/lib/i386-linux-gnu/libcrypto.so.1.0.0" or whatever you found from before to the end of this list. Some day, I&apos;m going to write a script to do this automatically. If it works, it will ask you for some names and email addresses and such, and then spit out a list that is the first entry in the new database for Rockets, ending in "nil nil)". Don&apos;t worry about those nils. They are good nils. And you should be good to go! Set your DNS to point to the IP of your web server, and Apache will automatically redirect any links to the site to the sub-directory and run index.cgi, which loads Rockets and redirects to rockets-main.lsp, the main page. I get a &apos;crypto library not found&apos; error! Apache just shows the text of the newlisp script, instead of executing it! Add the line "Options +ExecCGI"
Make sure you&apos;ve set the permissions on DATABASENAME.db (whatever name you gave it at the start). Usually chown www-data *.db works. You may also have to go to /var and type chown www-data www to give permission to the web server to create new files in that directory. This will redirect the front page of the site to the first page of Rockets. Any other issues? Post a reply to this thread and I&apos;ll try to answer them! This one features some text in here to try and see how that affects the formatting. © 2019 Rocket Man. Rendered in 10 milliseconds. Used 129 KB of memory, 104 KB for Lisp Cells. Rockets version: 1.902.